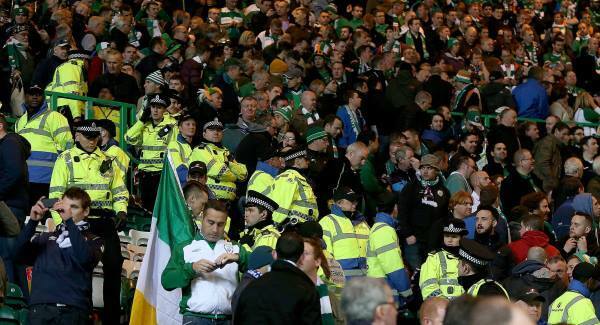 Fan of Scotland national team, died after he fell from the stands of Celtic Park during the match Scotland-Ireland played as part of qualifying for Euro 2016. Twenty year old Nathan McSeveney from Ayrshire was transferred an ambulance from the stadium, but he could not be saved. "Condition under which he fell from the stands not suspicious and we will submit report to the prosecutor's office," a police spokesman said. On the occasion of the tragic event spoke the Scotland national team, expressing deep regret over the deaths of young fan. "It was a terrible, tragic accident in mind we are with his family. We pray for him," they wrote. At the stadium was 55,000 people who cheered for their country, and the match ended in victory of Scotland 1: 0, first at home, thanks to goal Shaun Maloney. "We were all touched by this news. It's hard to rejoice the victory when it lost a young life," said executive chairman of the Scottish Football Association, Stewart Regan.